3. An international student literary magazine and a publication of the Creative Writing department at Douglas Anderson School of the Arts. Created in 1986, Élan’s mission is to elevate and celebrate teen writers and artists. Elan has a 32 year history of publishing teen writing and art. Check out our products page to purchase our latest print issues and discover past issues all the way back to the beginning! The 34th online edition of Elan is now available! The issue features brand new original work from local and international artists. Check out the latest and greatest! 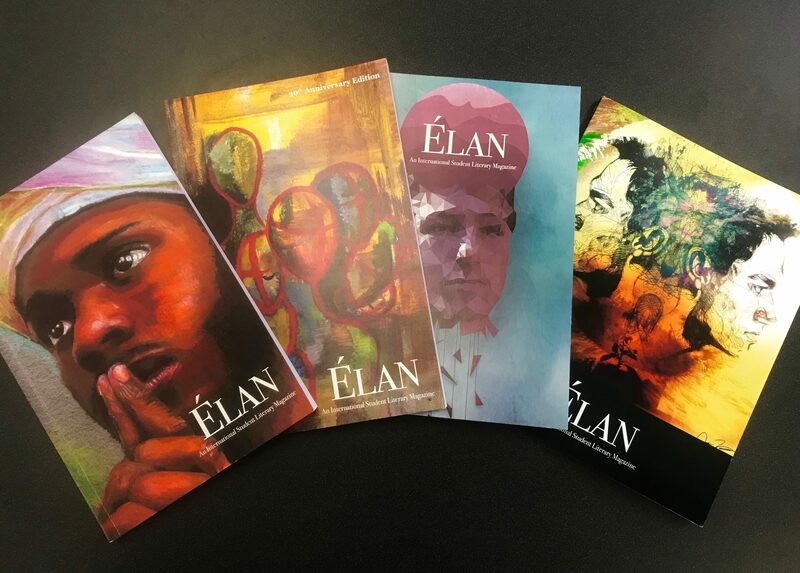 In our most recent blog post, our Senior Poetry Editor, Evelyn Alfonso, describes how Elan has helped her grow and how she observes it has deeply impacted others.